David Dreger, aka Knuckles Dawson, missing since May 26th, has been found. The body of David Dreger, also known as Knuckles Dawson of Rooster Teeth's Achievement Hunters, has been discovered in Ambleside Park, West Vancouver. 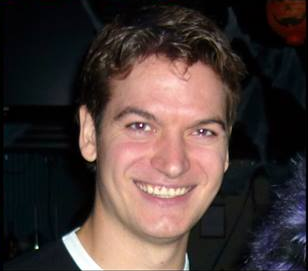 He had been missing since May 26th, and though his bike and helmet were discovered in Stanley Park shortly after he was reported missing, Dreger himself was not found until now. "We would like to take this opportunity to thank everyone for their prayers, support and compassion," says the Dreger family in a post on David's Facebook page. "David was an exceptional, bright, caring and loving young man. We consider ourselves blessed to have had him in our lives, and are comforted knowing that he is now embraced in the arms of our Lord." Dreger was 28 years old. The cause of death has not yet been released by the West Vancouver Police Department. Though not confirmed, it is possible that the body found in the water, reported by North Shore News, was that of Drager.